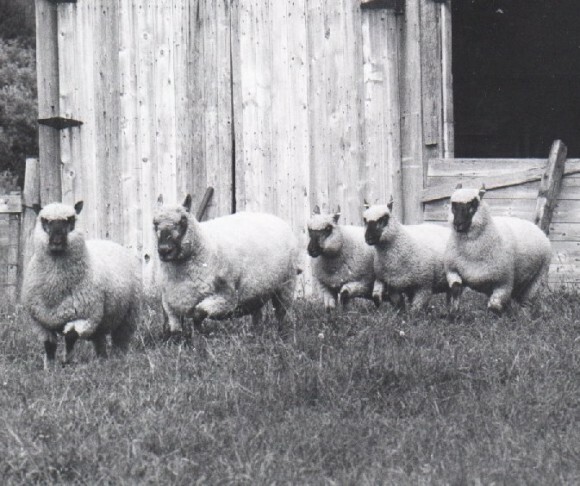 In 1977 I felt there was a need for some new blood for the Clun Forest breed, so I contacted Mr. John Barnett, then Secretary of the Clun Forest Sheep Breeders Society, Ltd., in England and instructed him to purchase a ram and four ewes for me. He picked two ewes from the Pen Y Wern flock (A.E. Williams & Son) and two ewes and a ram from another well-known flock. These unfortunately could not come as there was some footrot on the farm when inspected. Mr. Williams added a couple more ewes and one of his stock rams to complete the shipment. These flew over to Canada August 29, 1977, and completed 30 days quarantine in Agriculture Canada’s Lewis Station in Quebec, to arrive on my farm by the end of September. 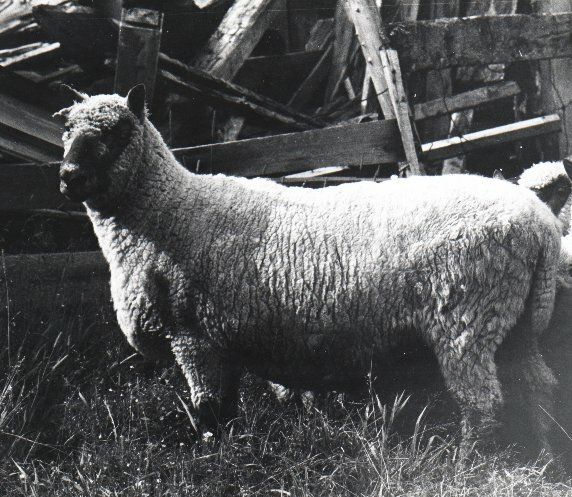 The ram, Pen Y Wern D157, was five years old and would be eight years old when he was released from the on farm quarantine. His sire was Woodhouse Z15 from the flock of Ivor Owens, Leominster, Herefordshire. The four ewes were sired by four different rams from some of the best known Clun flocks in the U.K. Pen Y Wern H44 was sired by Buckland C1 (H. M. Thomas, Leominster); Pen Y Wern H233 by Woodhouse D16; Pen Y Wern H424 by Winsbury A121 (J. 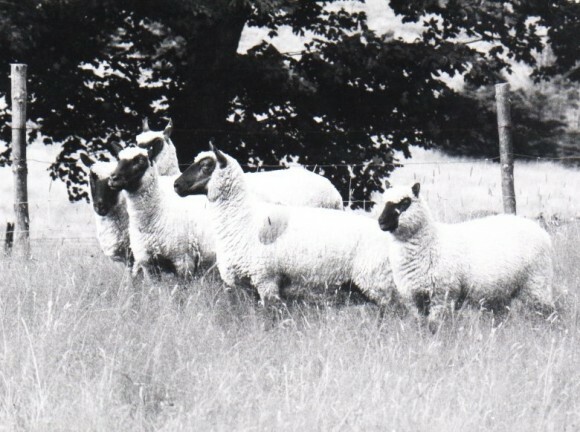 A. Beaven, & Son, Chisbury, Montgomery), a ram that was purchased for the then-high price of £540 in 1971; and Pen Y Wern H596, sired by Guilden Down F484 (J. Gwilliam, & Sons, Craven Arms, Shropshire). With only one ram, I had to build lines based on the ewes. I kept a ram from each of the four ewes (they were 1K, 3K, 6K and 20L). These I then bred back to a different imported ewe and the rams from these matings comprised the four lines developed from the importation. These rams were Homebank Guildhouse 51N, Homebank Buckbury 68P, Homebank Woodown 80P and Homebank Winsland 82P. In 1982, I again planned an importation of two rams from H. M. Thomas’ Buckland flock. There were also five sheep going to Ontario. Unfortunately they all failed a blood test for Chlamidia that had been recently added to requirements. Although this was a non-specific test and there had never been any abortions in these flocks, they were not allowed to come. My next attempt to import was in 1986. I planned to import two rams and four ewes. Unfortunately the on farm quarantine had gone from three years to at least five! I approached one flock and had the required animals picked out and blood tested. They passed all tests; however, the local vet could not certify that there had been no cases of EAE in the last 31/2 years, as required. I then contacted Mr. Ivor Owens, who offered two rams and five ewes. These entered Mirabel Quarantine Station on October 16, 1986. However, two of the ewes tested positive for the Chlamidia test when retested and were slaughtered. I took home two rams and two ewes on November 15, 1986. The rams were Woodhouse W38, sired by Parkstock T465 (Mrs. D. C. Ritchie, Kettering, Northants) and Pen Y Wern W137, a ram I had seen as a yearling at Roger Williams’ farm when I was over in 1984, though at that time I never expected to own him. The two ewes­Woodhouse W79 and W76­were both sired by Twyford T1. This importation was released from on farm quarantine on February 2, 1993. With the outbreak of B.S.E. in the U.K. and its suspected connection with scrapie, Canada has closed its doors to imports of sheep from the U.K.